Lost My Job & My Testosterone! I lost my job 17 months ago, and since that time, my life has gone to hell. I'm separated from my wife, who is now suing me for child support. She's trying to get blood from a turnip, because I'm flat broke. I have no money to fight this, and she is being relentless about it, which is very stressful for me. This whole affair is having a devastating impact on my life. I can't seem to get started, to do the things necessary to get out from under this rock. 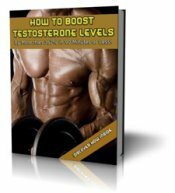 I have no energy at all, I never get erections in the morning anymore, and I'm sure it's because of Low Testosterone levels. What things would you suggest I do first. A real man takes care of his kids, no matter what the circumstances. If you have to do graveyards at Walmart, then head straight to McDonald's for the morning shift, you get your a** up and do it. Your relationship with your wife is dead for good! Do you want the same thing to happen with your kids? I may be old fashioned, but I believe that when a man has children, it's his duty to take care of them, to protect them, no matter what. 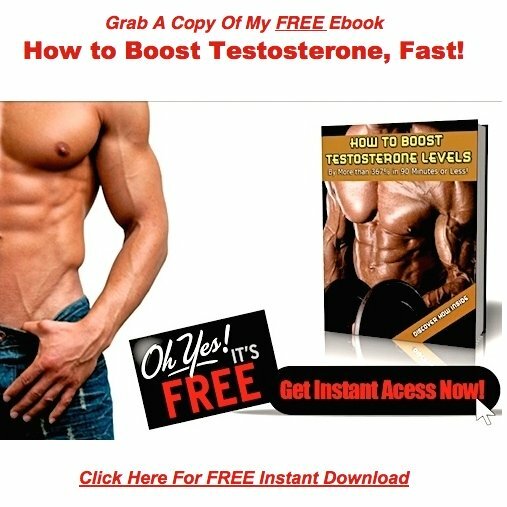 I'm sure your testosterone levels are depressed, but supplements, diet, and exercise aren't going to do you any good right now, because you're failing at the game of life. And failures, aren't very good at manufacturing testosterone. Right now, you need a win! How would I describe a win for you? Productivity, work, income, and some cash in your bank account! Trust me, the day you become gainfully employed, will be the day you finally see some light at the end of the tunnel. Go out, tomorrow, and find any kind of work you can, no matter how menial. When you get your first paycheck, hand it over to your wife and kids, and apologize for letting them down. Once you've done that, come back here, and we'll talk about getting the rest of your life back together. Comments for Lost My Job & My Testosterone! Superb advice! I assure that this will really help the guy recover his family. I want to ask what will be your next step after having his problems resolve? how can I post my problems in here by not putting it on a comment box? Do you have private email?